Just a quick post from me today, as I`m having guests tonight and need to do some cleaning. 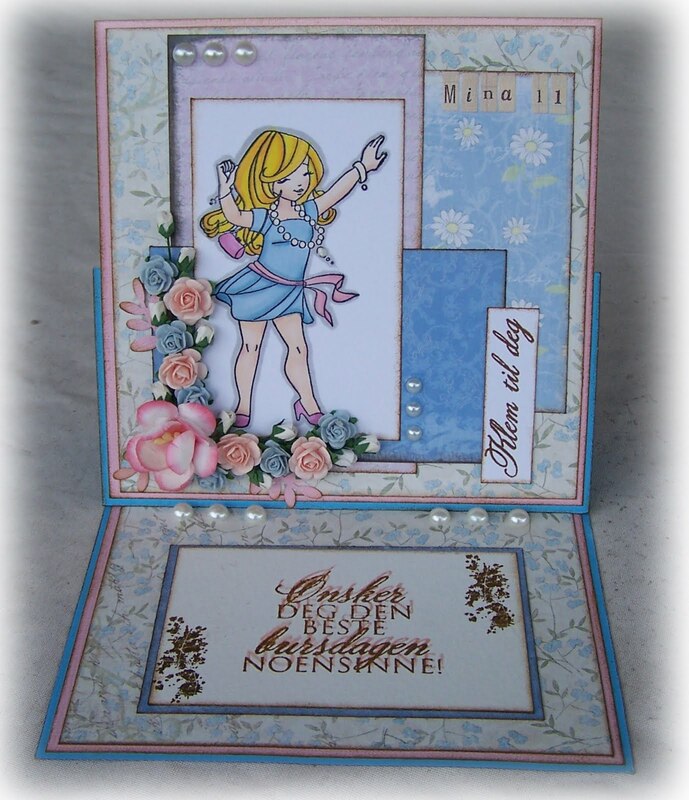 Silje, my neighbour asked me if I could make a birthdaycard for her friend who`s having a birthday party tomorrow. Of course I could. 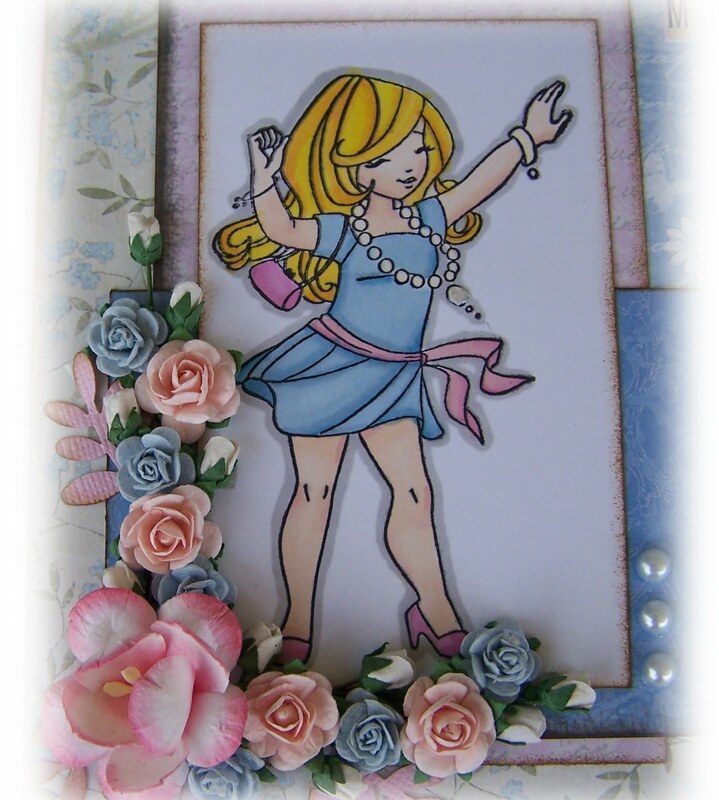 Love making girly cards. 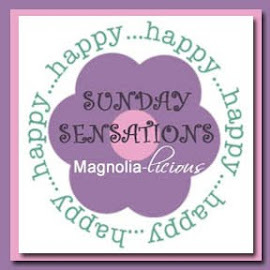 I love these papers, they are from Maja Design. Image is from Whiff of Joy. I`ve stamped the text stamp twice, so that`s why it looks a bit blury. The image is coloured with promarkers. I`m waiting for twelve more to arrive in my mail. Jippi! Nydelige blomster du har brukt og Maja papir er jo alltid en vinner. Jeg elsker de papirene :) Du fargelegger så fint med Promarkers..jeg har forsøkt og la det vekk ganske kvikt.. fikk liksom ikke helt kontroll på de. Du får kose deg med MGP i kveld!! Det blir vel til at jeg ser litt på innimellom. Ha en fin lørdags kveld og kos deg med besøk! 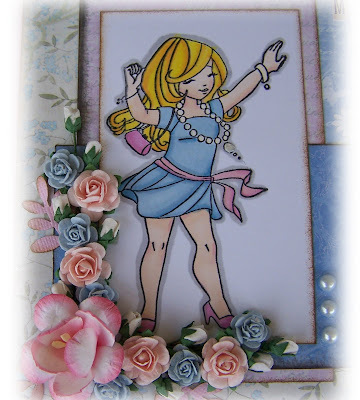 Beautiful card, your neighbor is so very lucky to have you there for her. You are so kind. Your work is beautiful as always. Enjoy your guests this weekend. Lekkert kort du har laget :) Herlig motiv og flotte farger. omg, you're a WIZARD! 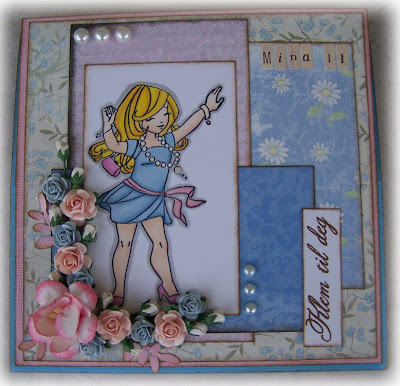 This card takes my breath away, it's so pretty! I'd love to be as savvy with flower arrangements! Hope your markers arrive soon and you can start playing with them! Wow, kan tippe naboen din ble glad for at du laget dette kortet for henne! Nydelig og så mange fine detaljer!! This is so very fabulous! Gorgeous image and beautiful colours! For et skjønnt kort du har laga! Nydelige papirer, farger og vakre detaljer!! gasp! This is GORGEOUS!!!! Oh my word! I love love love this! Your colouring, the colors you've chosen, your dp's, your flowers ... everything is AMAZING!!!!!! I'm blown away! Thank you for entering into my blog candy and good luck to you!